Ariel and Eric are going to have fun. Let's see how they entertain! It's time for a college party. 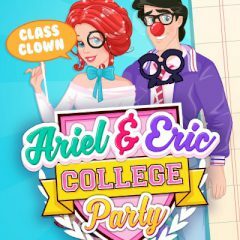 Ariel and Eric don't come to such events often, but today they are willing to come. Let's see what they are going to do there.